Wedding in Hindu religion is considered as the amalgamation of two souls for seven life-times and in Vedas, accurate proceeding of all the rituals is quite accurately mentioned that should always be followed for happy and blissful coupled life. 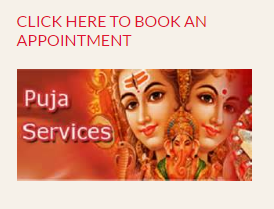 Book Pandit Vinod Dave to conduct Wedding Ceremony in USA with absolute Vedic accuracy. Performing all the Hindu Wedding rituals with accuracy our prime feature. We perform Wedding Ceremony by describing Sanskrit & English meaning of all the Wedding mantras and hence ensure that you understand all the mantras in most appropriate and spiritual manner.